Thing arena 2 - Secondo episodio del Flash Game Thing Thing Arena. I tasti sono sempre quelli, ASDW per muoversi e il mouse per sparare :) Capitolo ancora piu' avventuroso del precedente. Buon Divertimento ! 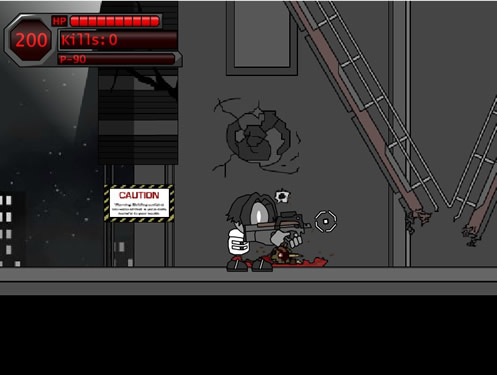 Thing arena 2 - Second episode of Flash Game Thing Thing Arena. The keys are always the same, ASDW to move and mouse to shoot:) Chapter even more 'adventure of the previous. Have Fun.